PHOENIX (Tuesday, December 4th, 2018) -- The United States Men's National Team (USMNT) will be kicking off a new era in 2019 and the first match under new head coach Gregg Berhalter will be played at State Farm Stadium on Sunday, January 27. 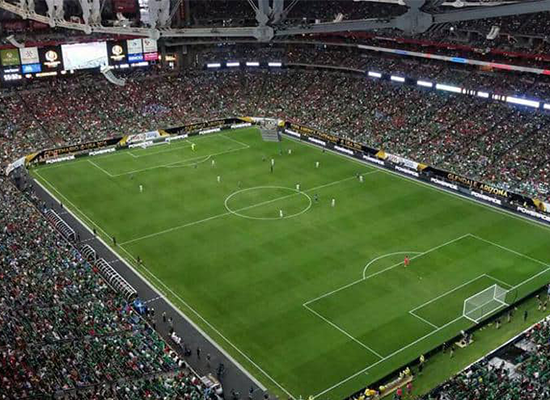 The upcoming match marks the fifth time the USMNT will play inside State Farm Stadium, previously in 2007, 2012, 2014, and 2016. The USMNT roster will have a domestic feel to it as the match coincides with the annual January camp that features young and upcoming players competing in Major League Soccer. That being said, there is a very strong chance that Real Salt Lake's Brooks Lennon (Paradise Valley/Sereno Soccer Club) and Justen Glad (Tucson/CISCO) will be named to the roster. Neither player has appeared in a match for the USMNT and they were called up to the January camp in 2018.